A bodybuilder who is famous for his extreme Popeye-like arms and feminine make-up has shocked fans by having a normal-looking girlfriend. 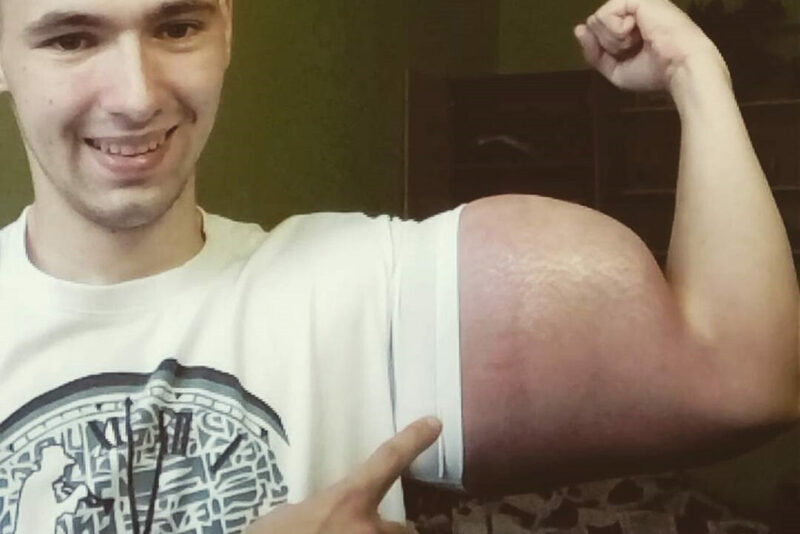 21-year-old Kirill Tereshin, from the Russian city of Pyatigorsk, went viral thanks to his extreme biceps which saw the internet dub him ‘Popeye’. 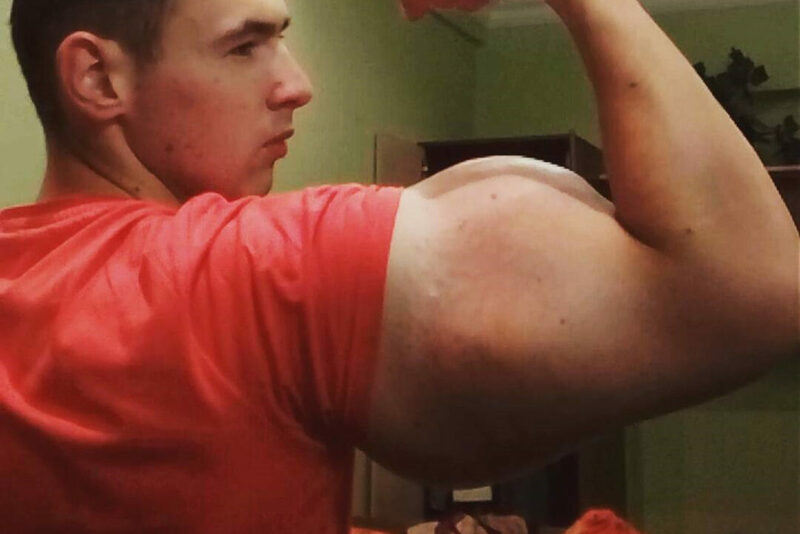 Tereshin adopted the risky regime of injecting himself with synthol, a site enhancement oil, after leaving the Russian military last summer, seeing a 26cm increase in the circumference of his arms in just 10 days. The ‘bodybuilder’ then took things in a whole new direction by dyeing his hair bright colours and wearing women’s make-up. Now Tereshin has further surprised people by having a normal-looking girlfriend who is a young blonde. A friend filmed Tereshin and his girlfriend getting out of a car, high-fiving and enjoying each other’s company. It is currently not known who the woman is but the couple look happy together. 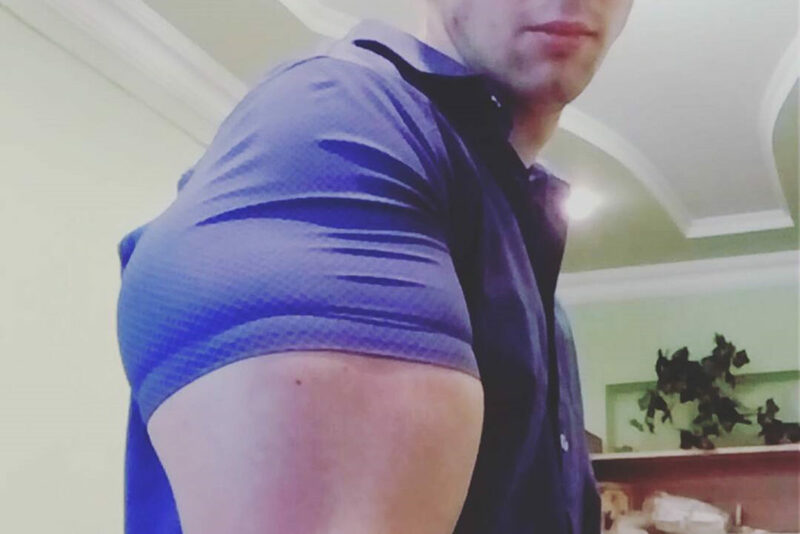 In order to reach such a size, you need to inject litres into your arms. I was doing it and getting a fever of up to 40 degrees, I was lying in bed, feeling like I was dying, but then it all turned out fine. Tereshin’s weight has increased from 62kg (9st 11lb) to 68kg (10st 10lb) since he started the injections, however, despite combining them with a regular workout routine there has been little impact on his actual strength. 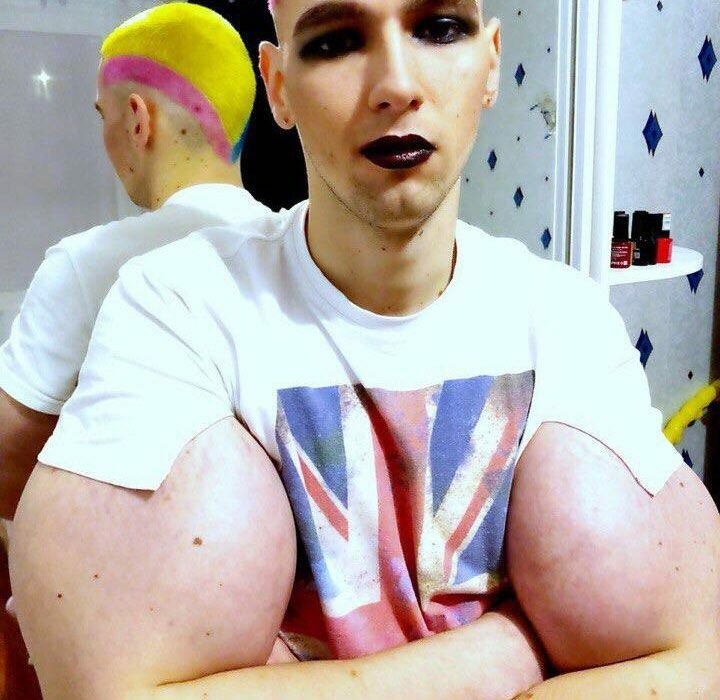 With commercially available synthol just too pricey, Tereshin decided to begin injecting himself with an extremely risky homemade concoction of olive oil, benzyl alcohol and lidocaine. Photographs then showed how his arms had turned a violent shade of red – looking extremely concerning indeed. Although Tereshin has argued how developing his arms with oil has improved his self confidence, this procedure could be doing great harm to his health. 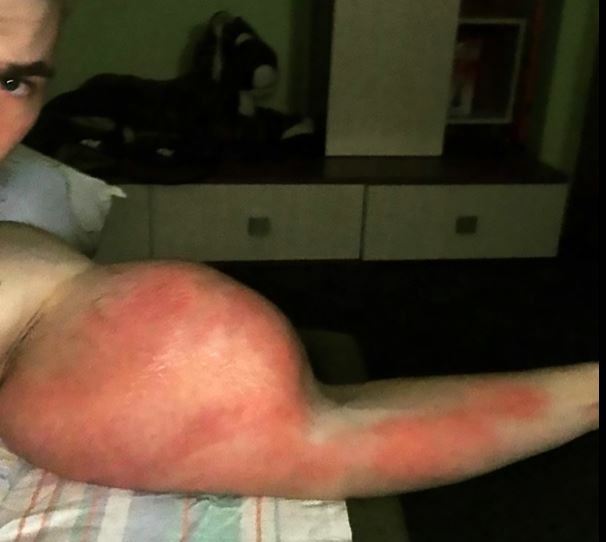 According to medical advice, injecting your muscles with synthol – regardless of whether it has been bought or homemade – may lead to cysts and ulcers within the muscle. This could also lead to nerve damage, infections, oil-filled granulomas and lung embolisms. Tereshin really is putting himself in enormous danger to achieve this dramatic look. Still not content with his appearance, he reportedly now wants to tattoo his entire body and grow a Mohican hairstyle. He also wants to get coloured contact lenses and a set of fangs. Despite the health warnings, Tereshin has remained adamant he will continue to use the chemical aid.